This battle has two fighters from EVGA: the GTX 680 and the GTX 780. And for this battle, I used GpuTest 0.5.0 Both cards have been benchmarked with stock clock speeds and default power/temperature targets. 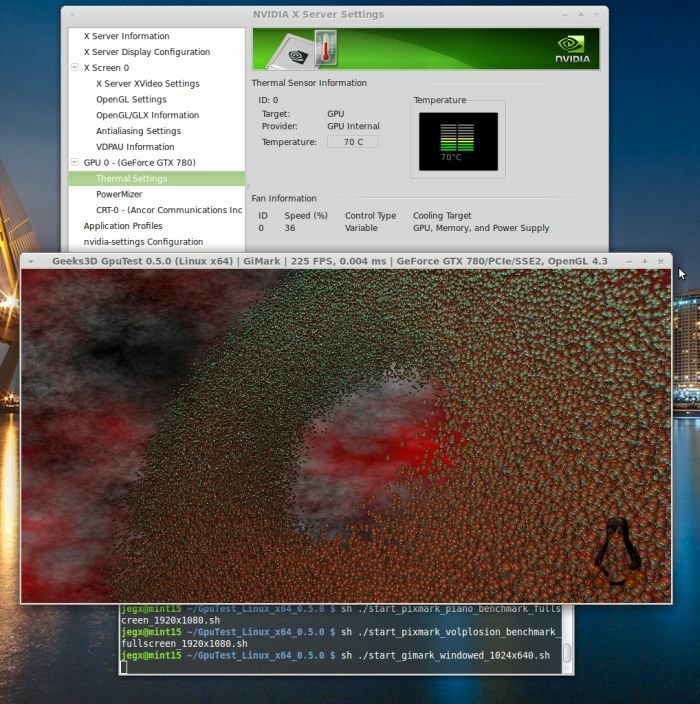 The temperature target is a feature of the GTX 780 only. Settings: 1920×1080 fullscreen, no AA, duration: 60 seconds. 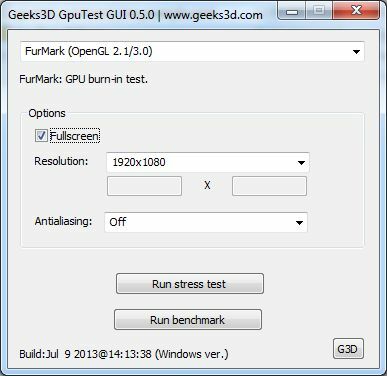 FurMark is a well-known TDP application that puts a heavy stress on the GPU. But another less known side is that FurMark is a texture intensive application: the rendering of the fur requires a lot of texture fetches. The GTX 680 has a 256-bit memory bus while the GTX 780 has a 384-bit memory bus and a wider memory bus leads to faster memory access. Both memory bus width and the larger number of CUDA cores can explain that big jump in FurMark score. The group 3 contains some very light 3D tests (the triangle is a bit like the hello world of 3D programming) and it looks like the GK110 is too powerful for those light tests. But a likely better reason is that the graphics driver is not enough mature for the GK110 and NVIDIA need to bring some minor optimizations for the GTX 780. 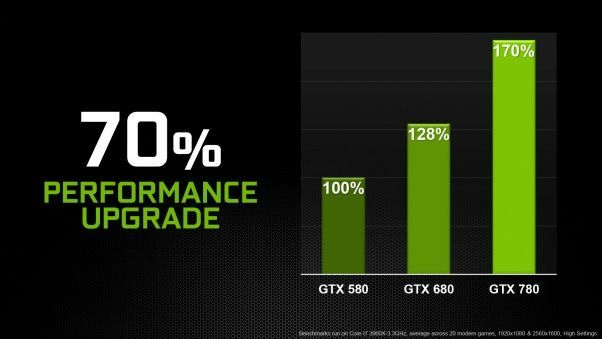 Most of the graphics applications belongs to the group 2 and then the GTX 780 is around 30% faster than the GTX 680. The performances under Linux are more or less similar to Windows ones.